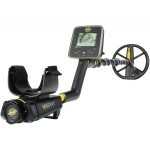 A rugged, all-terrain gold and metal detector with true all-metal mode that delivers the deepest detection and sensitivity in mineralized soils. 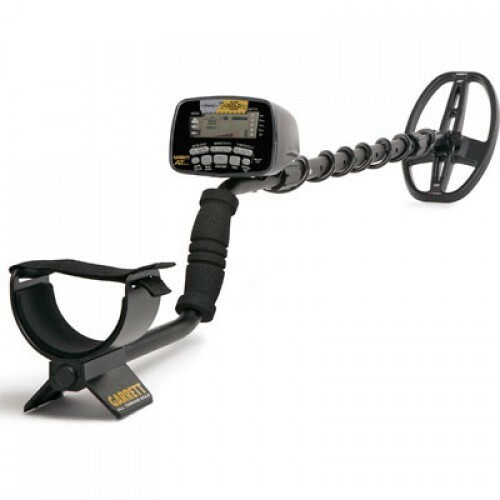 Exclusive technology makes this an ideal all-terrain solution for hunting treasures and relics, prospecting, coin shooting and shallow-water searching. Waterproof to 10 feet so you can search in water. 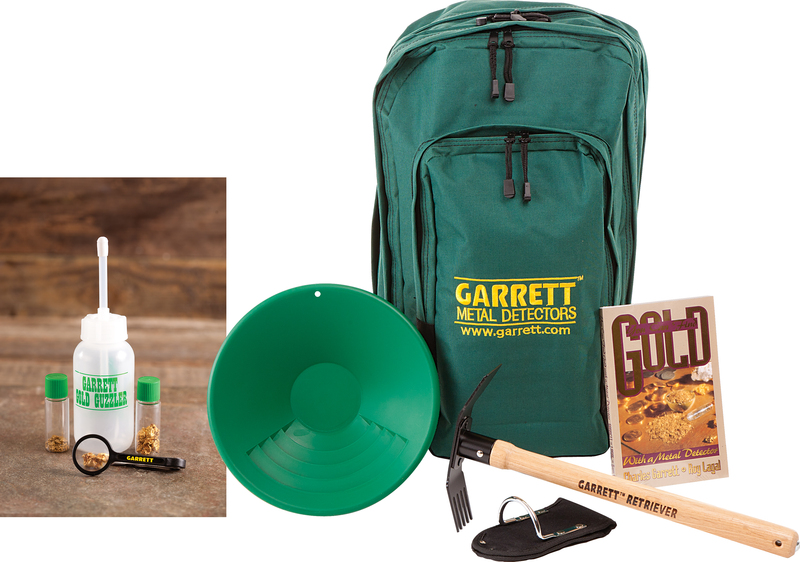 Ground balance helps spread the range in mineral-rich soils. 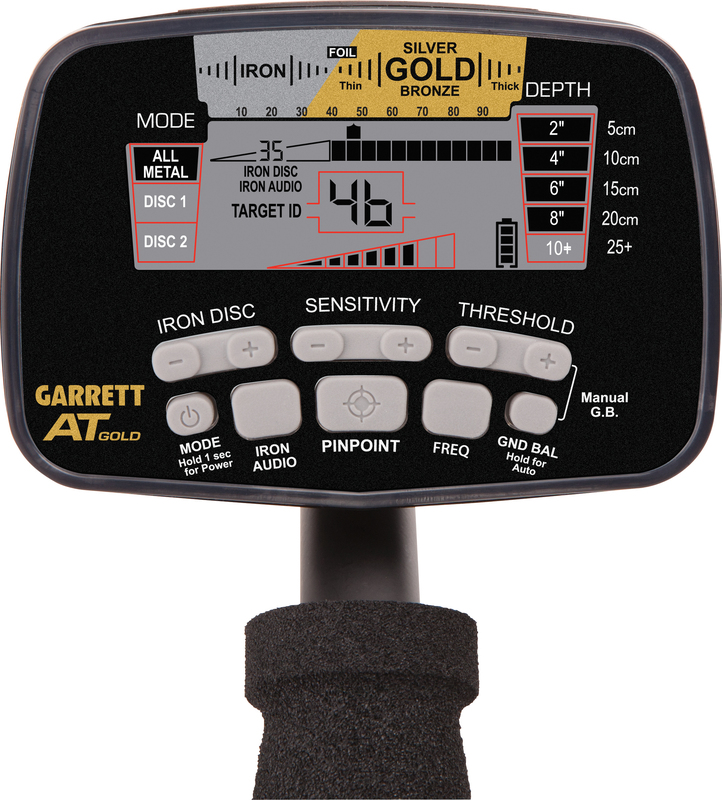 44 levels of iron discrimination let you alter the detector’s midtone signal range, providing precise separation of good targets from trash. Adjustable threshold fine-tunes soundings. Digital target ID. 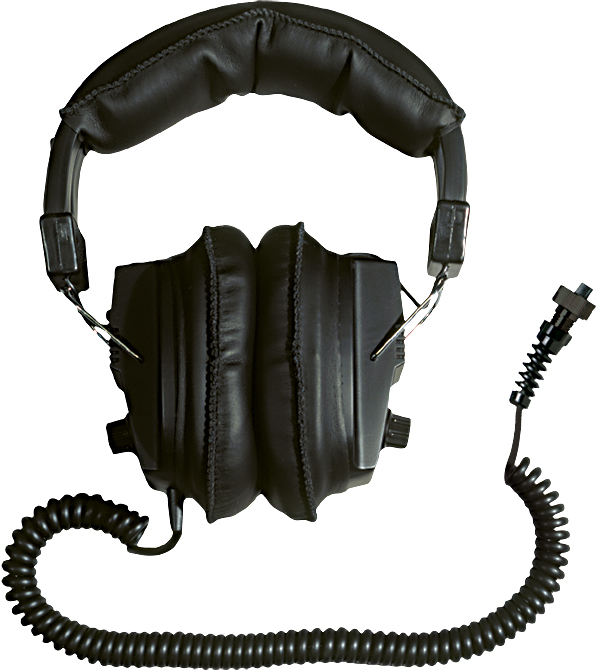 Land-use headphones are included. Uses four AA batteries (included). Two-year limited warranty. 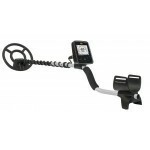 Length: Adjustable 43″ to 56″.